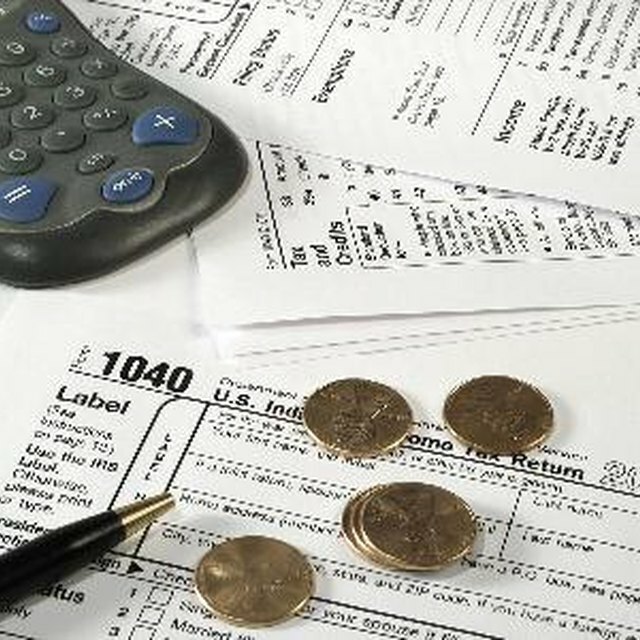 The Internal Revenue Service is not a finance company, but it has systems in place if you cannot pay your taxes timely. You pay penalties for not filing a tax return and for failure to pay, along with interest on unpaid taxes. A request for an extension of time to file your tax return avoids filing penalties for six months but does not extend the time for payment of taxes. You may sign a payment agreement to make installment payments on past taxes owed. Once you get behind on federal income taxes, you must keep up the agreement plus pay taxes on income you currently earn to avoid the same fate next year. You must owe less than $25,000 in taxes, penalties and interest combined to use the online payment agreement without filing a collection information statement or Form 433F. You may file a request for an installment payment agreement with Form 9465, if you need more than 120 days for installment payments. You do not need an installment payment agreement if you can pay in full within 120 days. Just call 800-829-1040 and note your request for an extension of time to pay in full. The IRS charges $105 for the payment agreement, reduced to $52 if you allow bank draft for the installment payments. The IRS reduces this charge to $43 for proof of hardship. You continue to pay interest for all indebtedness. Missing an installment triggeed a reinstatement fee of $45 in 2010. The IRS has an online payment agreement option to set up tax payments that does not require a Form 9465 request. The IRS recommends that you pay as much as you can and avoid interest and penalties. Set up the agreement for the least amount you can. The IRS also cautions that you may do better with a personal loan to pay your taxes. An installment agreement does not avoid a federal tax lien against your property, and the IRS often files these liens to protect its financial interest. A federal tax lien affects your credit history. Does an IRS Bank Account Levy Appear on a Credit Report? Although you can pay installments to the IRS for federal income taxes owed, you may choose to pay with credit card or get a bank loan to pay your taxes. You may also sell something of value or work extra to earn cash for payment. Payment within 120 days of filing your tax return will give you time to accumulate funds for payment and will incur the least fees from the IRS. If you are in bankruptcy or if the IRS determines you cannot afford to pay taxes owed, you may request an Offer in Compromise. You pay 20 percent of the total tax owed and a fee. Complete the Offer in Compromise for an amount you can pay, and submit to the IRS for approval. Bankruptcy will not avoid payment of federal income taxes, and delays add interest and possibly penalties to the total.